Once again, Moon Se Young was unstoppable. During the year he became only the second Korean jockey to reach 1000 career winners and finished the season with 61 more winners than his closest rival. That was Ikuyasu Kurakane and it was the Japanese jockey’s hard work on far less glamorous rides that saw him, despite Moon’s numbers, being awarded “Jockey of the Year” honours. At Busan, You Hyun Myung just missed out on 100 winners for the season but comfortably took the title. He did have some fortune with former champion Jo Sung Gon spending the first three months of the year in Macau and Joe Fujii missing five months through injury. The Seoul Trainers’ title is nothing to get especially excited about but someone has to win it and that someone was Kim Ho. Special mention goes to Lee Shin Young who continues to make strides, finishing in 8th this year with 35 winners. Down at Busan the competition is stronger mainly due to the presence of two men. The Kim Young Kwan factory continues to churn out winner after winner and hoover up the cream of each year’s horses. 2014 was an exceptional year too for Peter Wolsley, who finished 2nd with a superior strike-rate to Kim and in the process scored his first Triple Crown race win with Never Seen Before in the Minister’s Cup at Seoul. * 2014 was also notable for the retirement of one of Seoul’s most successful jockeys, Cho Kyoung Ho, at the age of 38. The winner of two President’s Cups on Myeongmun Gamun and the Grand Prix Stakes and Busan Metropolitan on Tough Win, Cho did not announce in advance of his final ride that he would be retiring. Afterwards, he posted a message online citing the pain from a shoulder injury suffered years earlier as having become too great to continue riding. He will be missed. Also in jockey news, there will be a change in tracks for Oh Kyoung Hoan. 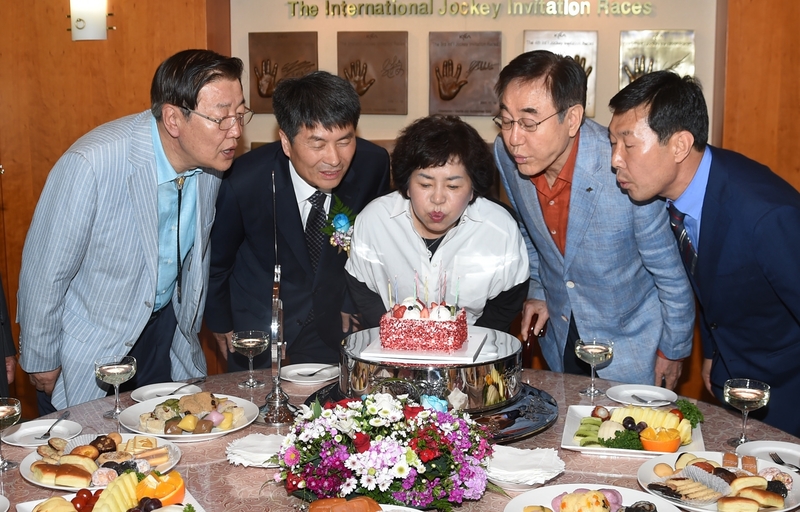 It is unusual for Korean jockeys to switch between racecourses and while numerous jockeys relocated to Busan upon the track’s opening in 2005, it has been almost unheard of since. Nevertheless, Oh, who has been riding at Seoul for nearly 15 years, officially relocated to Busan on January 1. 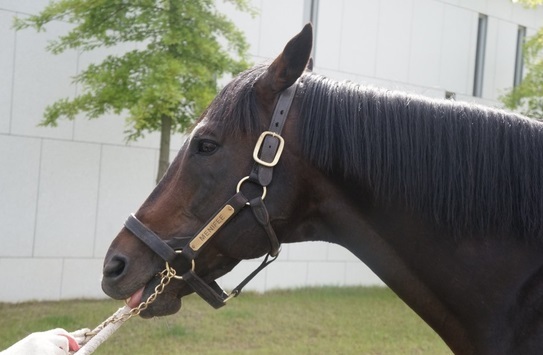 For the third consecutive year, Menifee was Leading Sire in Korea in 2014. This time it was by a record margin as his son Gyeongbudaero completed a late season President’s Cup and Grand Prix Stakes to take his sire’s earnings to nearly double that of next best, Forest Camp. The table was very similar to last year’s with the only new entrant to the top ten being Peace Rules in 9th, who saw a remarkable 21% of all his starters win. He replaced Japanese sire Ingrandire, who dropped down to 17th after his best horse, Jigeum I Sungan, was retired at the end of 2013. There is likely to be a shake-up next year though. While Menifee, as leading sire of two-year olds as well, is likely to keep his crown for a fourth year, top sires Creek Cat, Didyme and Pico Central have all passed away in the past two years and will gradually drop off the list. Meanwhile Colors Flying has made an immediate impact with his first crop of two-year-olds hitting the track in 2014. Looking further into the future, Hansen covered 83 mares in his first season standing in Korea while 2014’s big money purchase, Tiz Wonderful, arrived on Jeju Island in November.